Samsung recently announced the Galaxy A8 (2018) & A8+ (2018), which are the new mid-range phones in the A-series featuring a premium design, Infinity Display & more. Next year, we are going to see a lot of Samsung phones launching in the first quarter, not just the Galaxy S9 and S9+ but also some mid-rangers and budget-friendly phones. 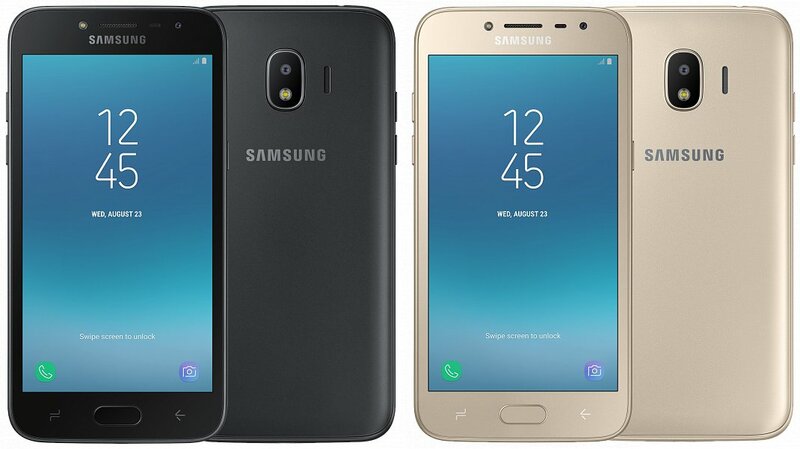 Today, the official press renders of Samsung Galaxy J2 2018 have leaked out that reveal the design as well as the specifications of next year’s budget-friendly device. Talking about the design, the renders above show that the phone has plastic back. It is pretty normal for a budget-friendly device (especially if it is from Samsung). It looks like if there is a metal frame which is a good thing to know. We are not sure yet but looking at the other smartphone manufacturers launching phones with the metal build, Samsung should also step up its design game for its budget devices. The 3.5mm headphone jack is present on the top while the micro USB port along with the primary microphone is present on the bottom. There is a single rear camera on the back, and the speaker is present on the right side of the camera lens which is a pretty odd placement of a speaker on the phone. But, if Samsung can place the speakers on the sides, it can place them on the side of the camera too, right? There is no 18:9 or bezel-less thing here as the phone comes with big bezels on sides as well as top and bottom. The phone features a physical home button and two capacitive touch buttons on the front. The front camera has a flash which is a good thing to see. The back cover can be opened to access the SIM card tray and microSD card slot. The volume rockers are present on the left while the power button is on the right. Now coming to the specifications, the phone (SM-J250) features a 5-inch Super AMOLED display with a resolution of 960×540. 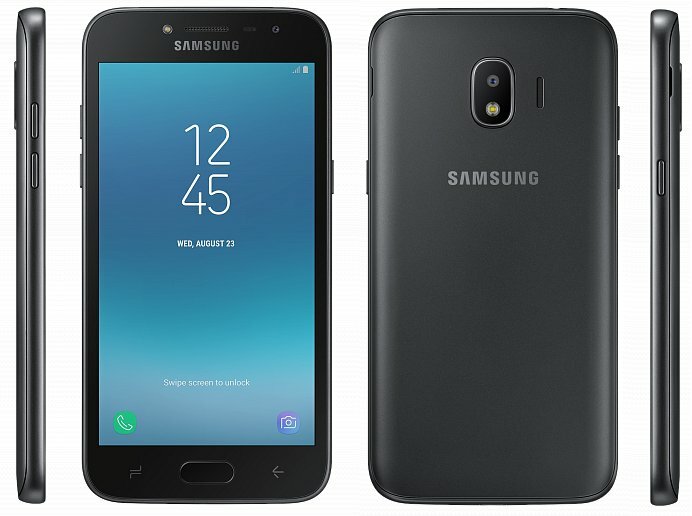 The Samsung Galaxy J2 2018 is powered by Snapdragon 425 processor, which is a quad-core chip clocked at 1.4GHz. The phone has 1.5GB RAM and 16GB internal storage. On the rear, there is an 8MP camera with LED Flash, and there is 5MP front-camera with LED Flash too. Under the hood, there is a 2,600mAh battery. The price will be 7990 Russian Ruble or around $136. 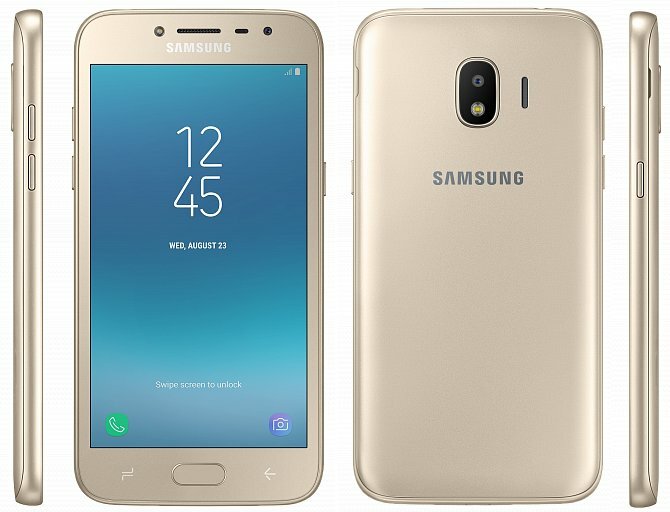 What do you think of the specifications & the price? Do let us know via the comments section.